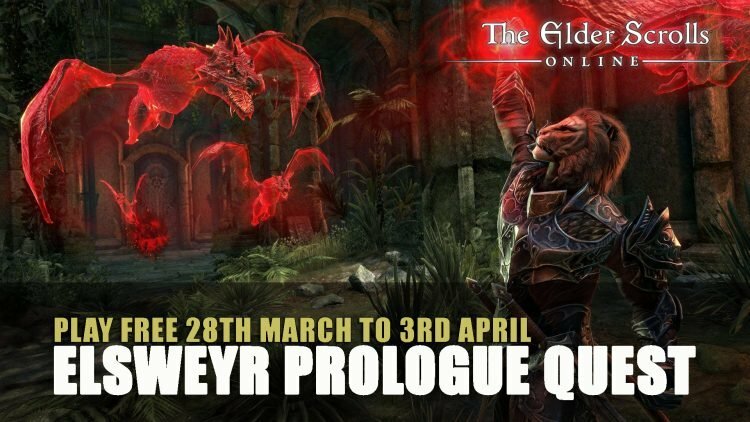 The prologue quests for the upcoming expansion Elsweyr are now availabe on Elder Scrolls Online as well as everyone can play free starting Thursday 28th March on all platforms. 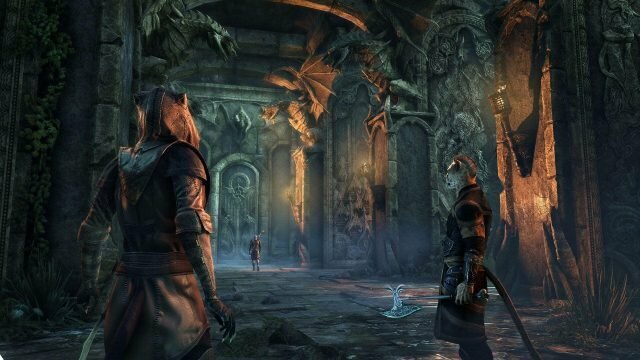 The Elder Scrolls franchise has turned 25 years old and Zenimax are celebrating in style as the prologue quests for upcoming expansion Elsweyr have now launched. Following the release of the latest DLC Wrathstone which dives into the Season of the Dragon, following the enigma of the Wrathstone tablet. With the prologue quests, players can uncover the purpose of the Wrathstone tablet which unleashes the Dragons, which was shown in the cinematic trailer for Elsweyr. In order to start your adventure for the prologue quest you will not need the Wrathstone DLC as this quest is part of the base game of The Elder Scrolls Online. Visit the Crown Store to pick the free Quest Start Item called the Sealed Imperial Summons and then use it from your inventory, which is found under the Quest Starter category. Travel to the first major city of your alliance and located the Imperial messenger Anais Davaux who is found near the Impresario’s tent. Aldmeri players can find her at the northern gates of Vulkhel Guard. Daggerfall players can find her on the approach to Daggerfall City from the east. Your reward for completing the quest is gaining the Dragon Flight Illusion Game memento reward, this allows you to summon a spectral group of mini-dragons. There are also daily quests available if you want to continue to help the Khajits, this can picked up from Zahiri who is located near the camp of Abnur Tharn in Grahtwood, near the entrance to Elsweyr. 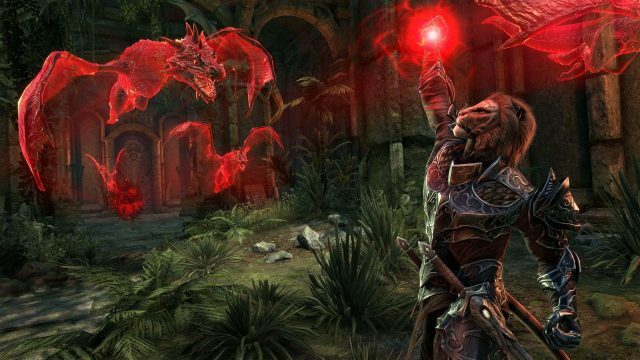 These quests can be completed once a day and rewards will include treasures from the Northern Elsweyr Defence Force. You can earn Runebox fragments which go towards gaining a Guar Stomp emote. You can play Elder Scrolls Online for free from Thursday 28th March until Wednesday 3rd April on all platforms simply visit the Free Play page. As the Elsweyr Prologue Quest is part of the base game, free to play players can experience the quest during this period. During this event you can also visit the Morrowind zone, home to the Dark Elves. If you’re looking to pick up ESO now is a great time as the Elder Scrolls Online base game has gone on sale as well as the Summerset chapter, across all platforms. 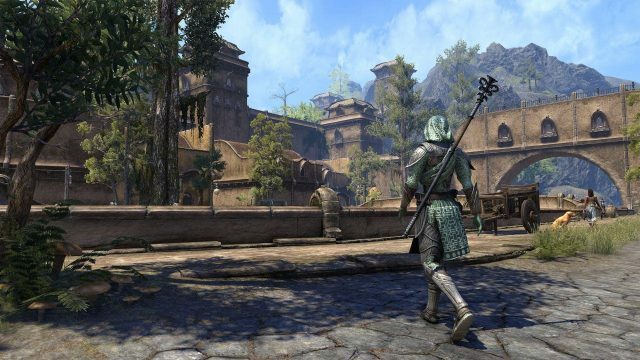 If you’re venturing into the Elder Scrolls Online for the first time be sure to check out our ESO guides including our Beginners Guide for everything you need to know to get started. You can also read our ESO: 10 Things To Be Excited About For 2019. If you enjoyed reading about this news you may also want grab Elder Scrolls 3: Morrowind which is now available for free from Bethesda. For more Elder Scrolls Online content be sure to read Elder Scrolls Online Jester’s Festival Event Returns to not miss out on the frivolous fun!